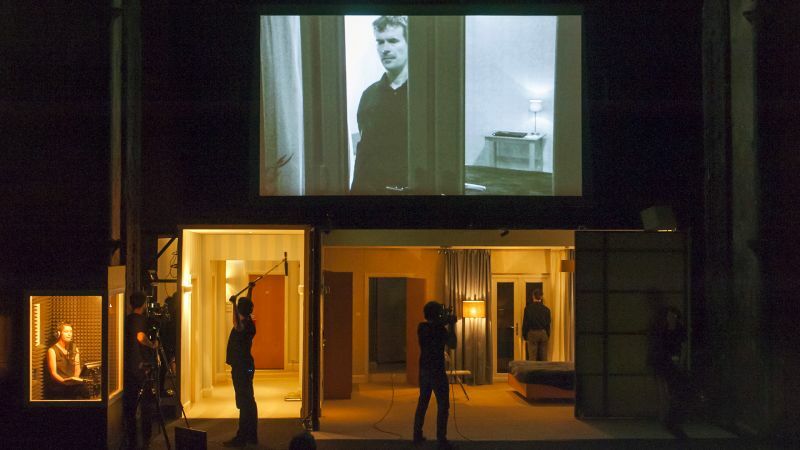 In her exploration of Marguerite Duras' work, Katie Mitchell multiplies the viewpoints and combines theatre and movie in a double focus show. A man payed a woman to make her carry out all of his desires. While she´s asleep, he spies on all of her movements. Nearly without a word, except for a voice-over. This icy relationship creates a frightening anxiety, very close to thriller.